Burt and Associates is a Collection Agency that specializes in Commercial Collections with Collection Agency coverage for California. Burt and Associates a National Business-Debt Collection Agency with full collection coverage for California. Learn more about debt and credit collection in California and the debt collection services offered by Burt and Associates. If you need more information, or have a question to ask, please contact us. For more articles like this one, head over to our blog. Californians rely on credit cards and other forms of lending more so than the average national borrower. In the first quarter of 2015, the average Californian borrowed $5,196 in consumer credit. Mortgage lending is greater in California, too. By first quarter of 2016, Californians owed an average of $334,925 on their home mortgage. Student loan debt continues to rise for current pupils and graduates in California. Seventy-percent (70%) of California students that graduated in 2016 owe student loan debt over $30,000. As a lender, what are your options for collecting consumer debt, mortgages, educational loans and commercial loans? Your best bet is to get a professional debt collection agency on your side. Outreach. We follow California debt collection laws and procedures to legally collect from your debtors. We make every legal effort to contact and find your debtor — and settle the outstanding account. Arbitration. As a third-party arbitrator, we’re positioned to reach a satisfactory resolution for you and the debtor. Our tactile approach doesn’t rely on intimidation or aggression. Our goal is to get as much money back to you as possible and make sure your debtor makes their payments. Remuneration. Once we’ve worked out terms of payment on your debt in California, we can facilitate the logistics and exchange of monies. Managing accounts-receivable is our specialty. Protection. We can advise you on your risk as a lender. Use our debtor evaluation services before you extend a line of credit to a new borrower. Consultation. Not sure about how to collect on your debt? Let us help you out. Debt recovery is what we do. We’re here to answer all your questions and do everything we can to make you whole. If you need to collect on delinquent credit accounts or any other form of debt in California, contact the experts at Burt and Associates. 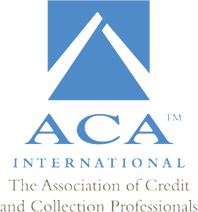 Burt and Associates is fully accredited by ACA International and the Commercial Law League of America. Let us help you collect on your California debts. Call us at 1-877-740-7839 or get a free quote online.